ULM offers a variety of exciting fields of study with new and innovative technologies, ensuring that academic offerings are constantly evolving in order to excel in today's workplace and society. The ULM Honors Program is a unique program seeking intellectually curious students who desire to challenge themselves. 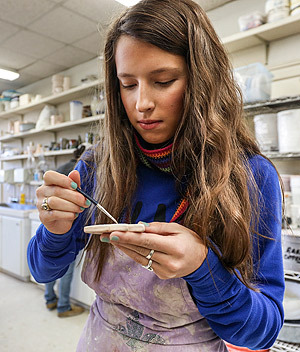 Honors students are exposed to more in-depth topics and work closely with the Honors faculty. Our Emerging Scholars Program joins students and professors in cooperative research and professional activities. Students selected for the program receive a stipend to participate as "junior colleagues" in the extra-class professional activities. A great place to start is to check out our majors site. The majors site lists our academic programs, a bit about the degrees, what others our checking out, and even related majors you may not have considered. As with all universities, the academic catalog is the resource for degree programs, general university information and more. Use the careerpath tool to research state job projections in the coming years. Each year our programs receive national recognition, from our health sciences programs and cutting-edge pharmaceutical research, to our online degree programs. Our Atmospheric Sciences program is the only one in the state, while our Risk Management and Insurance program was ranked in the top 20 in the nation. Take time to explore our programs, our degree plans, and discover your academic adventure.